A groundbreaking and refreshing new style has arrived in Tokyo, stunning guests with presentation and flavor enhanced by the very exclusive nature of the experience. Whether you enjoy a decadent cake or are the fortunate group each day to dine in the private restaurant, été leaves a deliciously deep impression, whetting your appetite with excited anticipation for what may come next. Chef Natsuko Shoji first caught the culinary world’s attention with her stunning cakes under the brand Fleurs d’ été. Her popularity means it is almost impossible to reserve a cake, but should you be successful, you also join the fortunate few with a ticket to dine at restaurant été. In fact, only those who have purchased a cake can enjoy that privilege. Limited to one group of up to 4 guests each day, the restaurant located on the first floor of an undisclosed apartment building serves up delicious cuisine befitting what the chef refers to as her "treasured guests". Chef Shoji’s entire business model is based on giving her very best to the guests who entrust their time and special occasions to her. Wowed by her incredible cakes, guests naturally grow curious about her cuisine, and if you know beyond the cake lies a night of dining pleasure, who wouldn't jump at the opportunity. In a quiet residential neighborhood, knocking on the door of this first-floor apartment feels like visiting a friend’s home. Following the butterflies through the door into the dining room and you will be seated at a table for four with a solid marble tabletop, adorned with luxury brand cutlery and glasses. It’s like a darkened stage with the perfect lighting to set an intimate mood. 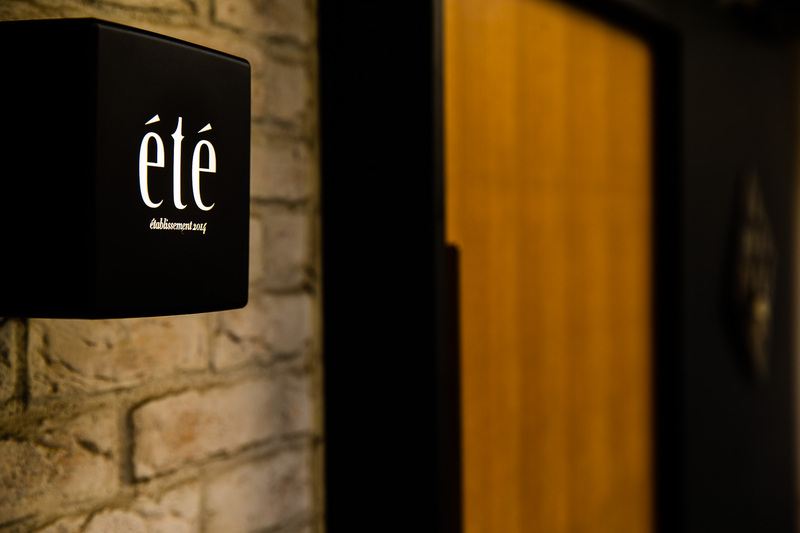 While the distance to the kitchen is very home-like, the level of luxury enjoyed at été is top class. The antique butterfly sculpture was a gift from Shoji’s former master, Florilege chef Yasuhiro Kawate. été, the French word for summer, is a reference to the chef’s first name Natsuko, the kanji characters for which mean “summer child“. Her signature cake, Fleurs d’ été or “summer flowers” – stunning in presentation and the perfect demonstration of her incredible techniques – reflects the chef herself, whose beautiful smile fills guests with joy and vitality. The private course is a leisurely stroll through ten dishes that showcase Shoji’s skills and demonstrate how fortunate you are to be the only ones enjoying her delicious just-made cuisine. 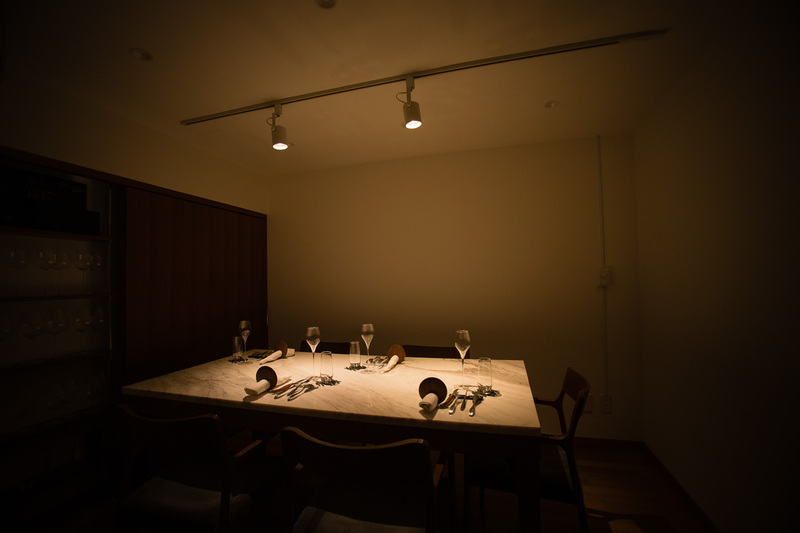 Arriving perfectly arranged on exquisite tableware by modern artist Mao Wadayama, the presentation in dish after dish is your entertainment, richly enhancing the delicious cuisine. While most restaurants change their menus monthly, Shoji does that just four times a year. Staying with the same dishes over a longer period, she says, allows her to get to know them better and perfect them. The amuse is an important reference to Shoji’s beginnings as an exclusive cake maker, using an exquisite salted tart that has emerged from its chilled state just steps away from your table. 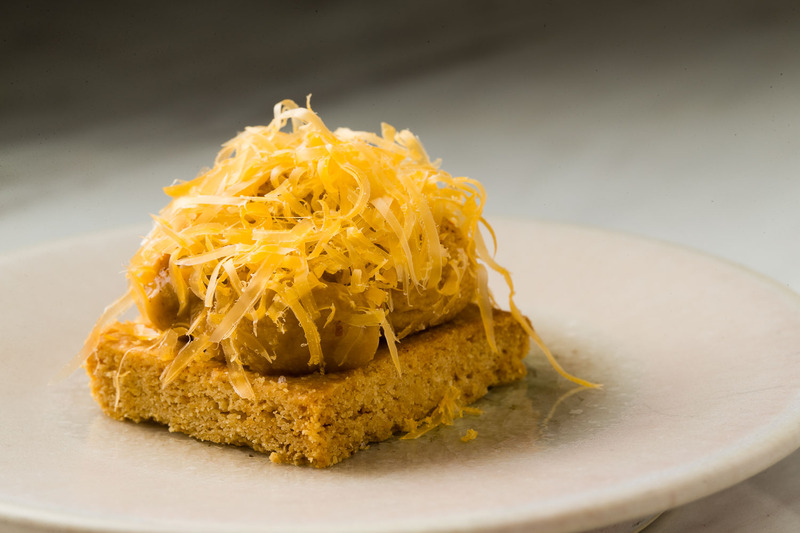 Hokkaido sea urchin tops the salted tart with plenty of finely shaved mimolette cheese, all accented by delicious aromatic flavor from a homemade mix of seven spices including cumin and garam masala. Next, freshly-baked brioche bread makes an appearance. You’ve been smelling it baking and now here it is. Removed from the oven, Chef Shoji cuts through the crisp, aromatic surface at your table to reveal a soft, deep yellow middle with mouthwatering steam and aromas. 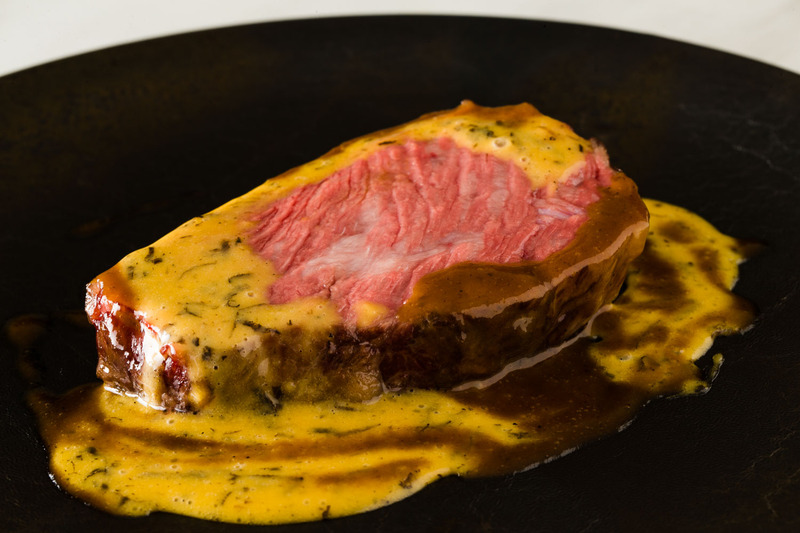 The result of plenty of egg yolks and butter, it is warm, soft, and luscious. The traditional Japanese summer favorite ayu sweetfish takes on a totally new face as tacos in one appetizer dish. Thin pastry is filled with filleted sweetfish and zucchini and topped with an original salsa and sweetfish liver sauce. It is sometimes difficult for foreign visitors unaccustomed to devouring fish bones to appreciate this Japanese favorite, so Shoji recreated it as tacos to make the fish a more approachable ingredient, still with all its delicious savory flavor. Tilefish is another seasonal fish, this one best enjoyed with the delicious texture of its crisp-fried scales. 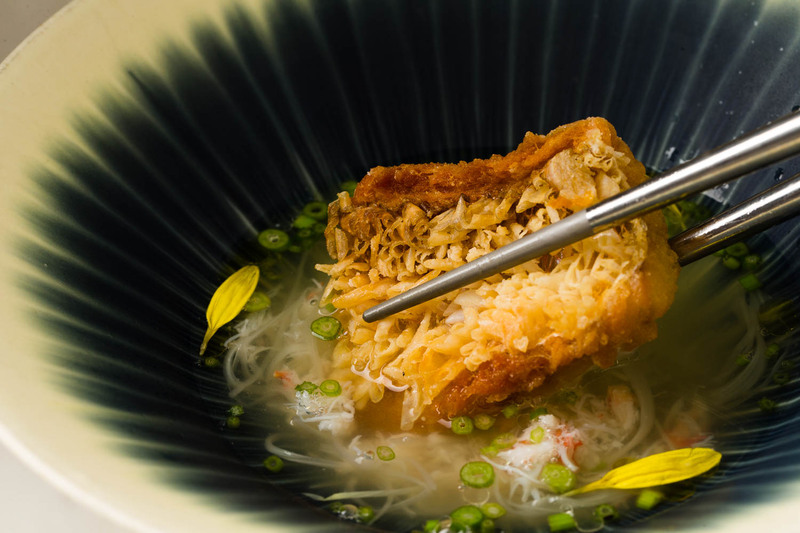 It is plunged à la minute into a seemingly simple soup of just white asparagus, salt and water, and topped with kegani crab meat and sliced asparagus. The beef on this occasion is chargrilled Akagyu beef from Kumamoto, with egg yolk and black truffle sauce and bone broth jus. 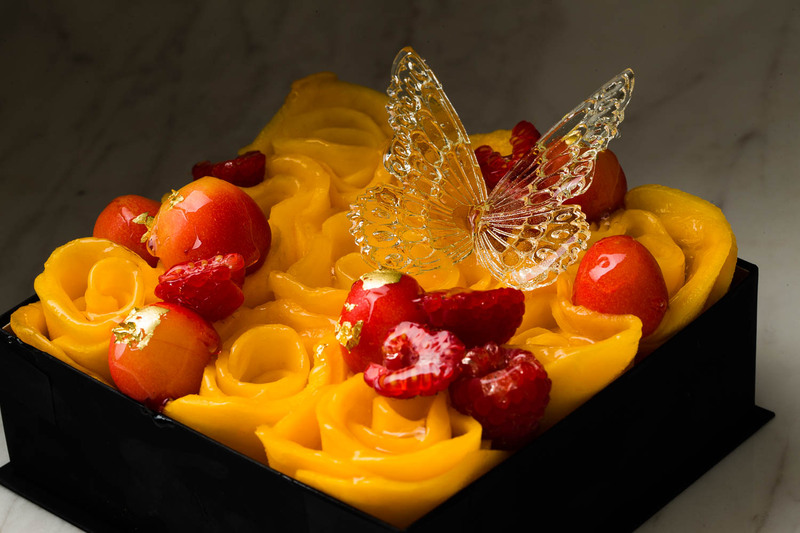 For dessert, the same mangoes from the signature Fleurs d’ été cake appear as the stunning flowers found in the black cake box, but this dish surprises anew, prepared differently to allow for the fact that the fruit will be devoured immediately. Chef Shoji entrusts the procurement of ingredients to suppliers at Tsukiji, many of whom she has known since her high school days. Much of the fruit comes direct from orchards around Japan: peaches and muscat grapes from Okayama and Satonishiki cherries from Hokkaido. Shoji seeks out direct suppliers from around Japan for new fruits she is especially interested in. Her wine collection shows a distinct preference for California wines, which grew even stronger after the devastating forest fires in the harvest season of 2017. Shoji is more than happy to design a personalized wine pairing course for her guests. Natsuko Shoiji was born in Tokyo in 1989. Her mother‘s influence was strong, instilling a love for fashion from a young age. She knew all the brands thanks to the many magazines and catalogues in her home, and she laughs about being excited to attend a Chanel show and bring home pencils embossed with the Chanel brand. She still loves fashion and even looks like a model. And whenever she stands in the kitchen, she dons her beloved Atsushi Nakashima apron. Shoji’s first brush with cooking came during junior high school in home economics class. The practical component required her to make cream-filled choux pastry and she was so blown away by how the pastry rose and puffed up that she decided to make it again at home. Her friends implored her to become a pastry chef after tasting her amazing creation. It was the first time she thought about cooking as a career and decided to enter Komaba Gakuen high school which has a cooking department. The curriculum exposed her to Japanese, Western and Chinese cuisine, as well as pastry-making. While still a high school student, Shoji joined fine French dining Le Jeu de l'Assiette in Tokyo’s affluent suburb of Daikanyama to train as a pastry chef. She worked there until invited to help with the opening of now world-famous Florilege, owned by Yasuhiro Kawate, a fellow alumnus of Komaba Gakuen high school. She was patissier and then sous chef before deciding to work at a hotel to learn guest relations and top-class hospitality. Shoji later worked as a caterer, sweets maker and private party chef before going independent in 2014 as owner/chef of été. Her cakes were an instant success and one year later she opened her restaurant. Enticing customers with cakes and then offering the chance to dine in her restaurant, Shoji has created a new business model that she hopes will inspire many more young chefs to make their foray into the restaurant industry. She’s still just in her 20s, but Shoji certainly has her sights on the future of the world of cuisine. As for personal goals, Shoji talks of her dream to make it on the list of female chefs in Asia’s 50 Best. She wants to be recognized as a chef on the world stage. 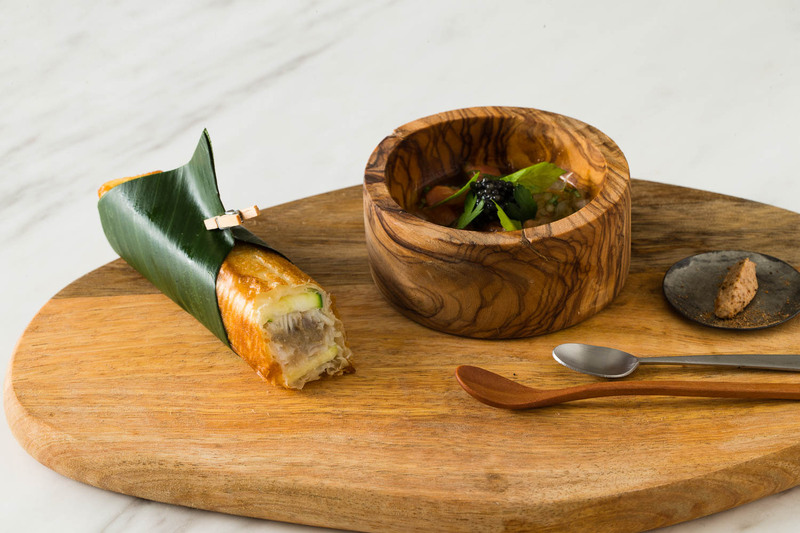 That’s part of the reason why her dishes, inspired by those loved by generations of Japanese, are conceived to be enjoyed by people from around the globe. There is no doubt that she has overseas adventures in her sites someday in the future. Shoji actively participates in events of all genres, from chef collaboration dinners to a partnership with a violinist. On the way to designing her picture-perfect and delicious creations, Shoji analyzed countless cakes and baked goods. Her goal was a cake you could present to an extremely special someone. When people go to the trouble of reserving and picking up a cake, the cake itself needs to reflect that value. 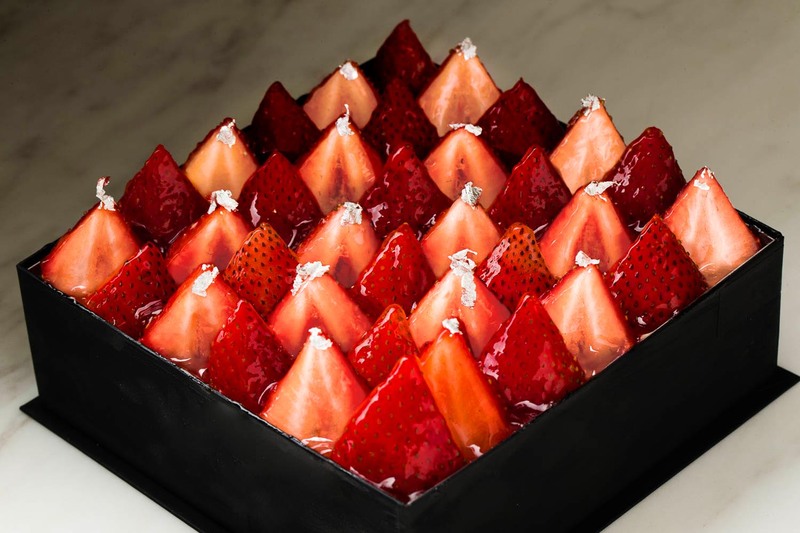 There is no question that the cakes of Fleurs d’ été fill the receiver with joy as they carefully open the lid on the black box to reveal glisteningly beautiful fresh fruits within. The elegant 13. 5 cm square handmade boxes are reminiscent of jewellery boxes and imbue the same kind of excited anticipation in the hands of the beholder. 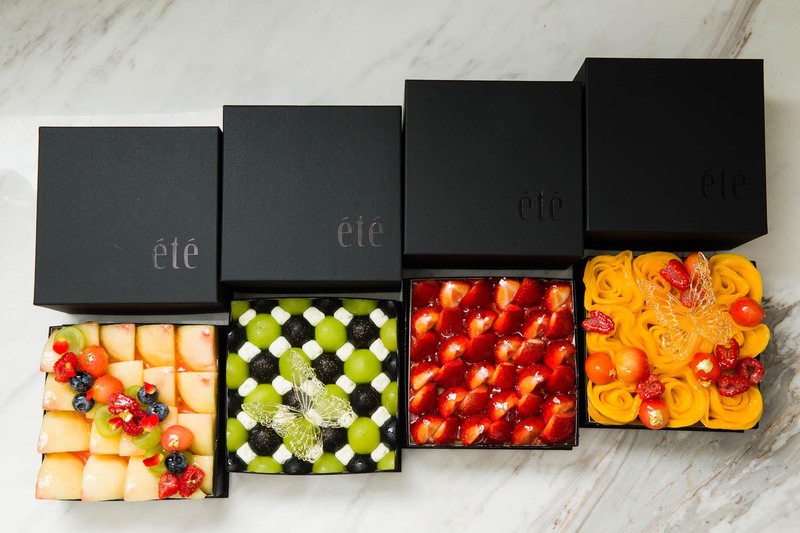 Black is the perfect backdrop for the jaw-droppingly beautiful, colorful fruits, and each box is adorned with Shoji’s signature and the date next to the été logo. 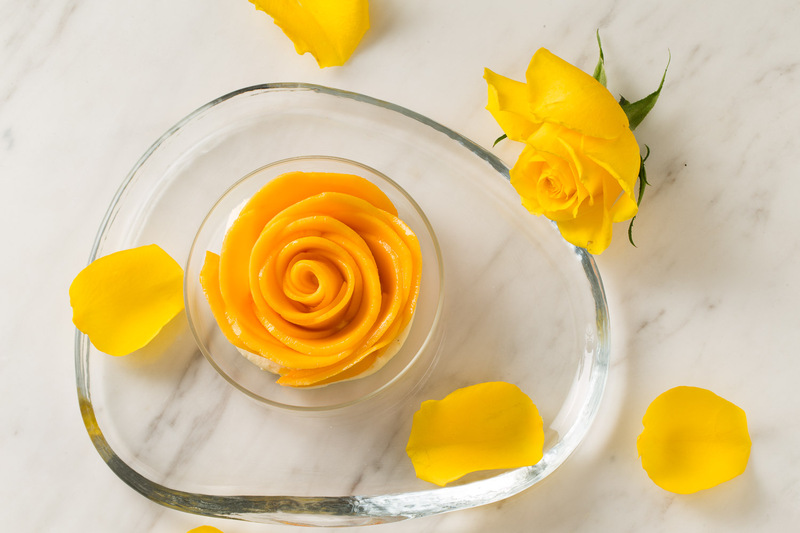 The Fleurs d’ été signature cake is a decadent creation of mango arranged into nine stunning roses. 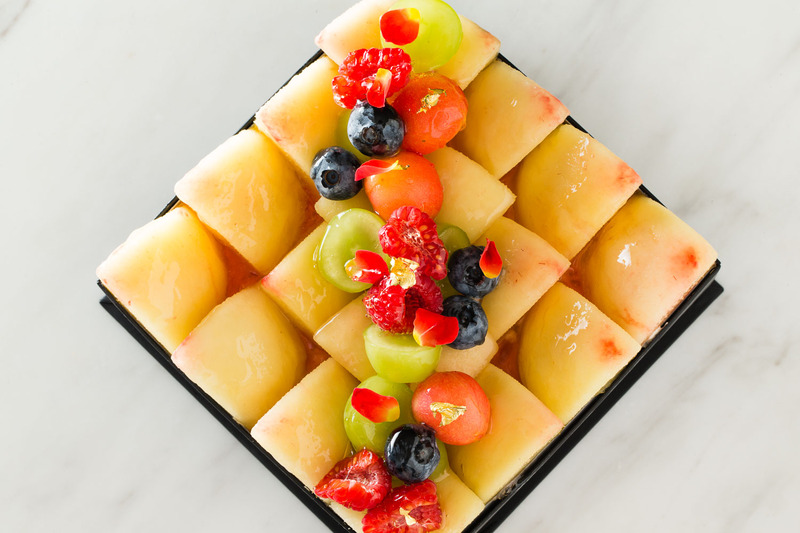 Combining juicy, highly aromatic Japanese mangoes with succulent overseas varieties that maintain their shape, and topped with raspberries or rotund cherries, the result is almost too beautiful to eat. But when you do, the joy of the flavor that bursts forth is sublime. The quality of the fruit is outstanding, and the fine veil of jelly prevents drying out whilst also contributing to each cake’s jewel-like appearance. Unseen but just as important is a tart base that has been slow-baked for 35 to 40 minutes ensuring delicious crisp texture alongside a smooth aftertaste from the generous helpings of pure butter. The not-too-sweet custard cream has elegant flavor while still making its presence known. 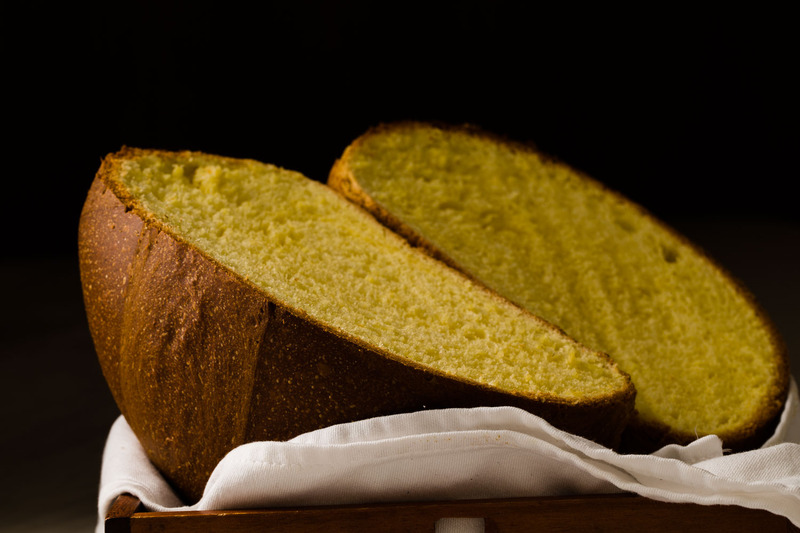 Some cakes also include a layer of sponge, but whatever the combination, the harmony of flavors and textures is sensational. Seasonal cakes feature peaches, strawberries and grapes: Sazanami, meaning ripple, is overflowing with juicy flavors and uses three whole peaches accented with color by raspberries and other seasonal fruits; Bouton, meaning button, alternates Shine Muscat and Nagano Purple grapes dotted with lime-favored mascarpone – a delicious match for your favorite alcoholic libation; and Damier, or checkerboard, uses eye-catching Akahoppe red and Awayuki white strawberries atop a layer of sponge and a layer of sliced strawberries ensuring full enjoyment of the deliciously sweet seasonal fruit. Each cake is designed to make the receiver gasp with surprise at their beauty, inspired by images from fashion, and all can be cut into nine or 16 pieces with ease. The sugar art butterfly floating on top is optional, but as a symbol of été and for the added playfulness and beauty, why wouldn’t you add it on.